When was the last time you watched a horror film and had to scream for your life? Well, if you did scream during the horror movie then this article isn’t for you. It’s for those who would rather take selfies with spirits or laugh at the whole idea of a ghostly figure following them as they take a long walk in a graveyard. Yes, it is a true story. If you think I am joking then I dare you to read this article and visit one of these places in Bangalore. Let me not terrorize you further and leave some bit of it for your ‘supernatural’ journey. I am sure we all agree that Bangalore is a delightful city even with its spooky spots. Yes, I said ‘spooky’. Bangalore is known for housing few of the creepiest spaces. These spaces are known to have eccentric spirits running to catch hold of you and many of you would have already heard of a few ill-omened events these outlandish places are known for. The reason I am starting with Terra Vera is because I am not going to go easy on you. 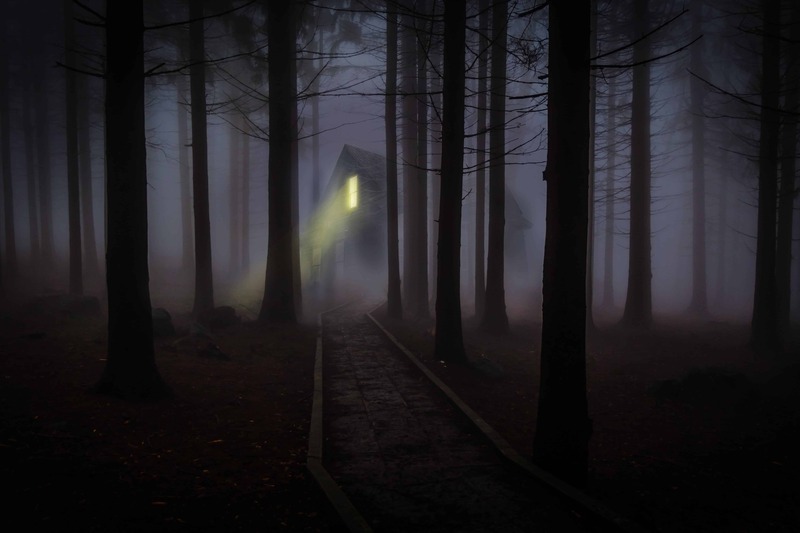 It is considered to be the top most haunted places in Bangalore. This colonial bungalow was built in 1943 by E J Vaz, the late advocate of Bombay High Court. It was handed down to his two daughters. This place has been in news for having one of the most haunting stories. One of them being how no one knows who acquired this property post 2002. In 2002, post the murder of one of the daughters, Dolce Vaz, 75-year-old lady, in the house, it has been vacant for years. The other daughter seems to have moved out due to property issues or so it is said. Dolce was stabbed to death, supposedly a very gruesome murder, by an ‘unknown’ person. The bungalow and its elements soon got a burnt look. The eerie stories that revolved around this house is that of spirits staring out of the windows and the sound of a piano being played in an empty house reaching the sensitive ears of those passing by the house. People seemed to have reported objects that freaked them out as well. This includes the inverted crosses, half-full wine bottles, and a scary statue. People have heard screams coming from the house – I can only imagine Dolce’s spirit screaming for life or justice. Even the temperature is said to get ‘colder’ the moment you step closer to the area. The bungalow has been demolished however the ‘ghostliness’ continues. To me, hospitals are always an eerie place to be in however this one gets creepier because of the spookiness that floats around. Victoria Hospital has been serving patients for more than a century now. However, there have been quite a few ghost sightings in this hospital. One forever hungry apparition is said to lurk around here. Food seems to have gone missing. People have reported incidents such as sighting a white ghost on one of the trees around the hospital compound. Next time you are here, please say hi to the white ghost for me, won’t you? A place where the dead sleep or do they? The fact that a cemetery already holds an aura of ghostliness is creepy enough. But imagine restless spirits floating around to scare the daylights out of you. This cemetery is known to be different than the other cemeteries. This has been validated by those who have visited this cemetery. Many have sighted a spooky figure of a man lurking around at very odd hours. Some have even reported of being watched by a spirit as they have walked by the graveyard. Entering a cemetery is quite an uneasy feeling but watching spirits rise from their graves to probably enter your soul and make you do crazy things, can be quite a nightmarish thought. This one is going to make your hair stand up and if you are a biker who has taken this route before, I am sure you have already experienced it. This place is a hub of paranormal activities with its long stretch speaking of a few creepy incidents. Hoskote Route is said to have graves on either side. Many motorists and auto drivers have had to stop because of one old lady always asking them for a lift. Now there is nothing wrong in helping an old lady is there? Next time you decide to traverse this very route keep your kindred spirit at bay unless you are one of those who loves to talk to ghosts. There is no escaping ‘ghostliness’ now that we have one such spirit moving around at Kempegowda International Airport. It is perceived to be one of the busiest airports in India. Also, it is considered to be the most haunted since 2008! It does seem a bit unusual for ghostly activities to exist in a place like this. However, there have been reports of spotting a ghostly woman in a white saree and open hair lurking around in the cargo section of the airport. The report was made by a pilot who first saw this woman on the runway. As the story goes, the pilot assumed her to be a passenger who had just lost her way. The pilot instructed the ground staff to help her out. When the staff closed in on her to help her out, she suddenly disappeared. This left them in shock! Anytime anyone would approach her to know her whereabouts, she would disappear. According to online articles, apart from the pilot, there have been taxi drivers and other people who have been a witness to a headless woman floating around on the runway and sometimes even near the escalators. The reports have confirmed her existence through the use of infrared rays. On your way to the airport now? Good luck! Before I end this article, I have a question for you. How would you define spirits? A figure cloaked in something white or a very heavy and uncomfortable energy that surrounds you and the feeling of another’s presence in an invisibility cloak gets more dominant. According to research, this ‘unwanted’ presence or energy can create the most devastating scenarios such as electrical lines being fussy or even the gadgets going bockety or ka-boom! We don’t know if all these ‘stories’ are a hoax or they do exist for ‘real’ but it definitely adds an eeriness – now who wouldn’t like to have a tasteful conversation with a spirit over a cup of tea?